Paris Jackson SLAMS Kendall & Kylie Jenner: Show Some Respect! As you may have heard, Kendall and Kylie Jenner aren’t having the greatest week, and they have no one to blame but themselves. For some reason, the sisters thought it would be a good idea to sell t-shirts emblazoned with trademarked images of artists like Tupac, The Notorious B.I.G., and Ozzy Osbourne. To make matters worse, KJ and KJ superimposed photos of themselves over the images over the legendary artists. Needless to say, the plan didn’t work out. 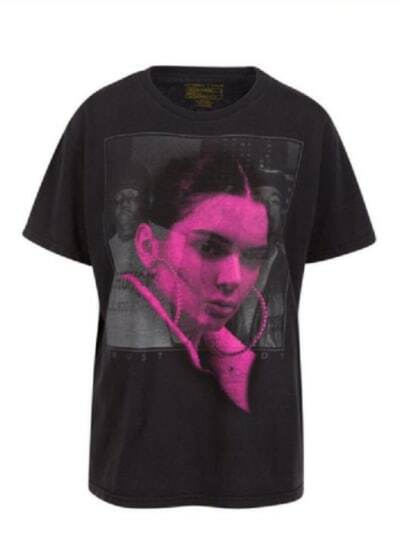 First, Kendall and Kylie were slammed by Biggie’s mom in a social media tirade for the ages. Shortly thereafter, the Jenners were destroyed by the Osbournes, as both Sharon and Kelly took to Twitter to verbally tear them new ones. “As a huge fan of zeppelin, the doors, Floyd.. I mean these bands literally helped shape who I am today. I can’t condone this ‘fashion,'” Jackson wrote on Twitter. Boom. Hopefully Kendall and Kylie heard the deafening sound of that mic drop. “These designs were not well thought out and we deeply apologize to anyone that has been upset and/or offended, especially to the families of the artists,” reads the statement. Biggie’s estate has already rejected the apology, and no one else seems to be in any hurry to accept it. It’ll be interesting to see how many PR crises these girls can endure. Kourtney Kardashian to Younes Bendjima: Forget Your Career! Focus on ME! Derick Dillard on El Salvador: People Get Sexually Assaulted Down Here!